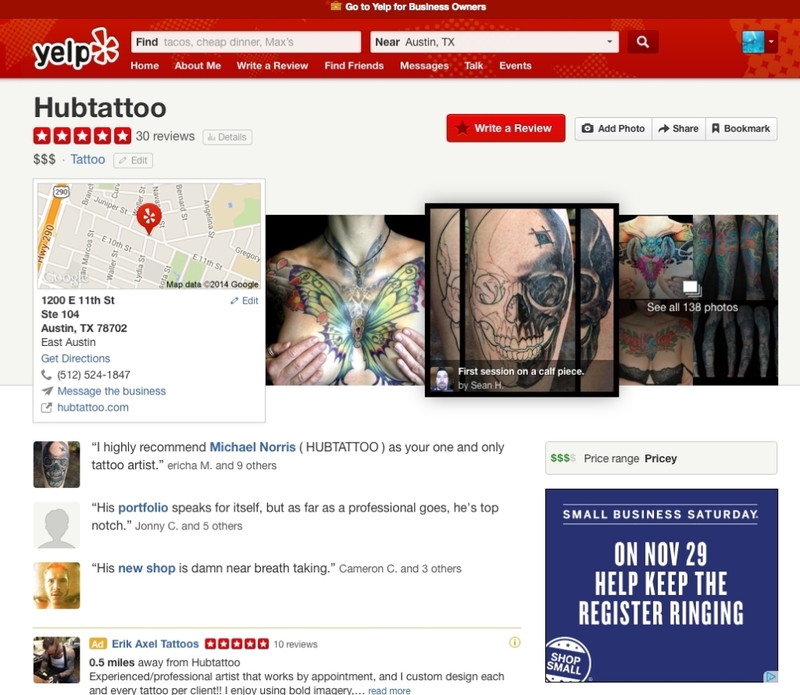 A very significant amount of any tattooers business comes from tattoo reviews and referrals. Either in the form of an online review, or from friendly conversation between clients and other interested prospective clients. 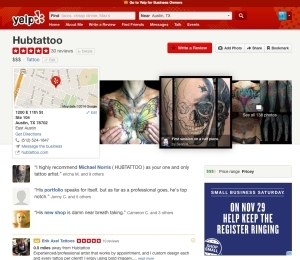 Taking a few minutes to sign onto an online review board such as Yelp or Google, and leaving tattoo reviews for your artist can make a VERY significant contribution toward their online marketing campaign. Reviewing online only takes a few moments, and is a very meaningful and helpful way to show your appreciation for a job well done. * If you have not been completely satisfied with your tattoo experience, please consider giving your tattooer the opportunity to make any necessary effort to bring the experience overall up to your satisfaction before writing a review, if possible. People LOVE to talk tattoos. Most of us with tattoos have noticed that when the weather is fine, and our tattoos are showing, it is inevitable that while we’re out in society, at the coffee shop, restaurant, on the green belt, or at the bar, someone will try to make conversation with us about our tattoos. While no one can be expected to always be inclined to chat with strangers about our tattoos, it is an opportunity to suggest they check our YOUR tattoo artist. I know I am always grateful when my clients remember me by name, and share it with people who are interested in finding a tattoo artist. Some clients like to carry a few business cards with them just to hand to anyone who asks. A lot of people may just be making conversation, but the people who are serious would love to be handed a business card. But please, never, under any circumstances give your tattooers cell phone number to anyone!